Scotland is dotted with historic sites from castles to neolithic monuments, but there are perhaps none so shrouded in intrigue and mystery as Rosslyn Chapel. Now, after 16 years of work at the medieval chapel, restoration was completed in 2013 and the chapel is as spectacular as when it was founded in 1446. The mysterious symbols of the chapel’s ornate stonework has attracted visitors for generations but recently it has become even more popular with the publication Dan Brown’s novel, The Da Vinci Code, in 2003 and later featuring in the hit blockbuster of the same name, starring Tom Hanks. Since the 1980s the chapel has been central to many speculative theories connected to Freemasonry, the Knights Templar and the Holy Grail. It is thought by many that the Knights Templar brought the Holy Grail to Rosslyn Chapel and left it there for safekeeping. Who can say if this is true? 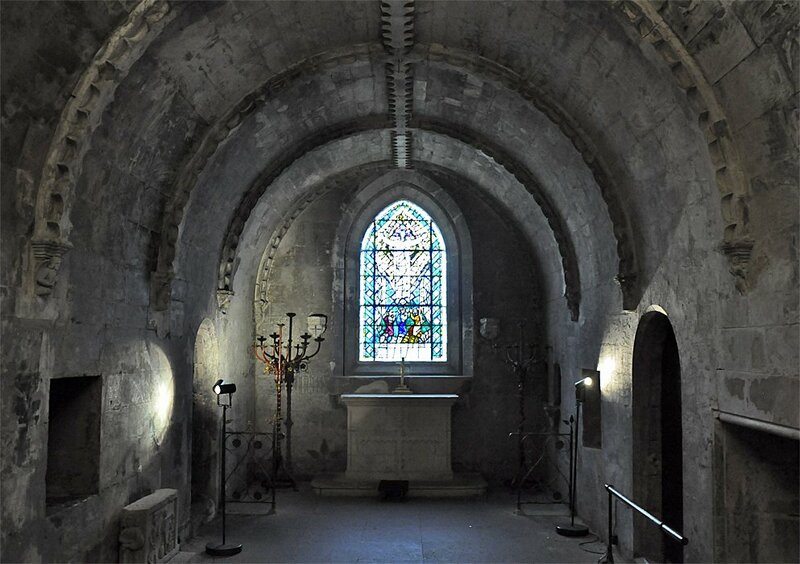 But anyone can now go and explore the chapel’s intricate carvings and underground chambers and attempt to discover the hiding place of the Grail. The chapel is a great place to visit not only for its stunning location and secretive past but also because it is a mere twenty minutes drive from Edinburgh city. A trip to the chapel means you can become a detective. Find the date the chapel was founded, inscribed up high on the outside walls. Or go downstairs to the sacristy and discover the original architects’ drawings etched on the wall. It’s no easy task to build a chapel, particularly one with such intricate carvings and elegant structure, especially in the mid-15th century, but Sir William Sinclair, 1st Earl of Caithness, employed brilliant craftsmen to build his Catholic collegiate. The architecture of the chapel is some of the finest in Scotland. Although the original building was supposed to be a cruciform in shape it was never completed and only the choir was constructed, built on the crypt, which is believed to have formed part of an earlier castle. Scotland’s past overlapping. The chapel stands on fourteen magnificently carved pillars. Three of which are named: the Master Pillar, the Journeyman Pillar and, most famously, the Apprentice Pillar. The Apprentice Pillar gets its name from a legend that tells of the master mason who did not believe that his apprentice could carve the column without seeing the pillar that provided the design’s inspiration. The master mason travelled to see the original but on his return was enraged to find that the upstart apprentice had carved the column himself. In a fit of jealousy, the master mason took his hammer and struck the apprentice on the head, killing him outright. The story states that as a punishment the master mason’s head was carved into the opposite corner from the column to forever gaze upon his apprentice’s superior craftsmanship. The chapel is not the only site in the area worth seeing. Nearby is the magnificent structure of Rosslyn Castle or you can take a wander through the stunning woods that make up the local countryside. In the quaint village of Roslin a bite to eat can be had at ‘The Original’ in their friendly bar or at The Grail restaurant, which opens at weekends. The restaurant’s name gives a nod to one of the badly kept secrets of the chapel, that it hides the Holy Grail within its walls. The search for the Grail has never ceased and the legendary vessel, which Christ is thought to have drunk from at the Last Supper, is considered the most important Christian relic. There is mystery and intrigue surrounding the Holy Grail but luckily it’s easy to visit Rosslyn Chapel, as well as many other sites throughout Britain, and piece together the puzzle of secrets that may lead to the true story behind the Grail. 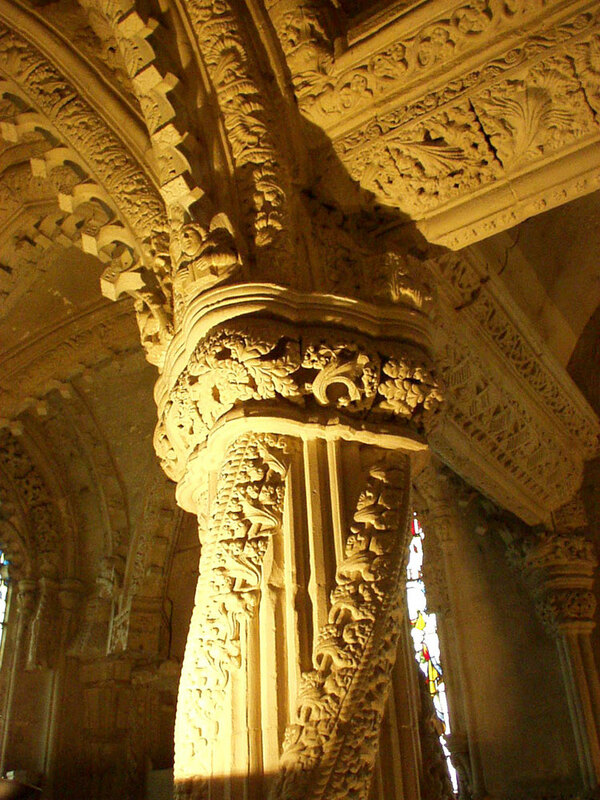 Rosslyn Chapel contains many of the Templar’s symbols who are thought to have brought the Holy Grail to the chapel. The carving of ‘Two riders on a single horse’ also appear on the seal of the Knights Templar. 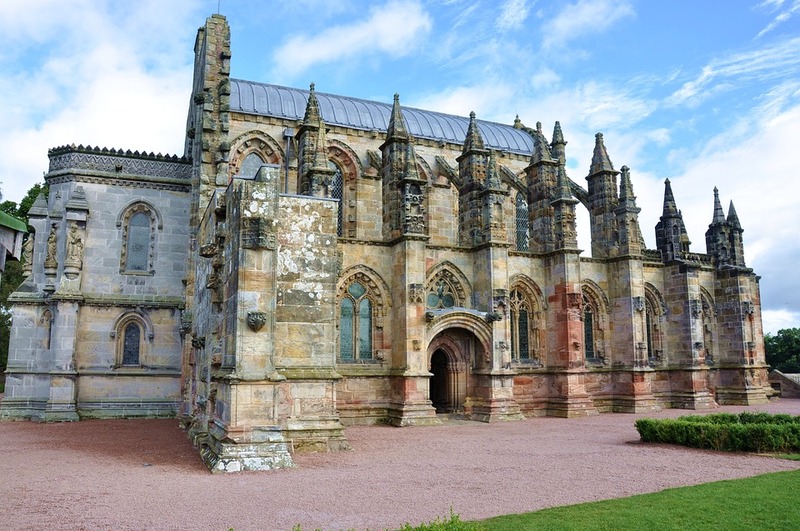 William Sinclair, who built Rosslyn chapel 150 years after the Knights Templar dissolution, is claimed to be the descendant of the Grand Master of the Scottish stonemasons. Over the years the Freemasons have had many links with the Knights Templar. A later William Sinclair of Roslin became the first Grand Master of the Grand Lodge of Scotland and many other members of the Sinclair family have since held the position. Clues that support the theory that the Grail is concealed in Rosslyn Chapel. There are also other carvings in the chapel that reflect masonic imagery, like the carving of a man blindfolded and being led with a noose around his neck - similar to the way a candidate is prepared for initiation into the Freemasons. Each carving holds it’s own secrets and anyone can discover them on a visit to the chapel. Here at Cashel Travel we design custom made ‘Holy Grail’ tours which take you from Edinburgh to London with visits to Freemason Lodges, majestic castles and underground mysteries so that any of our guests can discover for themselves the truth about the Holy Grail, the Freemasons and the Knights Templar.